P/N: SSR At night the contained air acts as an insulating blanket to retain heat gained during daylight. 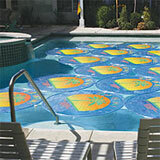 Solar Sun Rings are equipped with six magnets to improve clarity and decrease hardness of the water in your pool. The magnets are positioned to facilitate rafting. The strength of the magnets will permit single position removal but will easily separate to prevent entrapment in accidental falls. Solar Sun Rings were designed to be compatible with automatic pool cleaners. In the event the suction hose catches on a ring, the ring will separate from the raft to allow the pool cleaner to continue Neither water nor pool chemicals can evaporate through the Solar Sun Rings two layers of heavyweight vinyl. You will save water and chemicals about equal to the percentage of the surface of you temperature, Solar Sun Rings may be turned over to conserve water pool covered. Once the water in your pool has reached adequate by limiting evaporation without significantly heating the water. 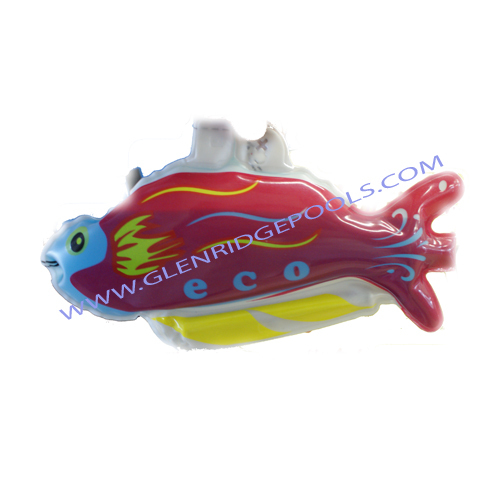 For more information, please visit this products webpage.